On Sunday, July 17, Avaal Technology celebrated the graduation of its 120th successful class of students for the Avaal Dispatch Specialist Course. The graduating students took part in a 40 hour program, where they experienced both classroom and actual hands-on job training to prepare them for their future careers. The course modules introduce innovative techniques to effectively launch and operate small to large scale trucking companies with an emphasis on strategic business management. Key modules include freight matching, route optimization, border crossing, and obtaining freight contracts. Avaal trains students on TransCore's 3sixty line of software solutions. The computer based applications are designed to streamline the fleet management process, and ultimately help companies increase profit levels. 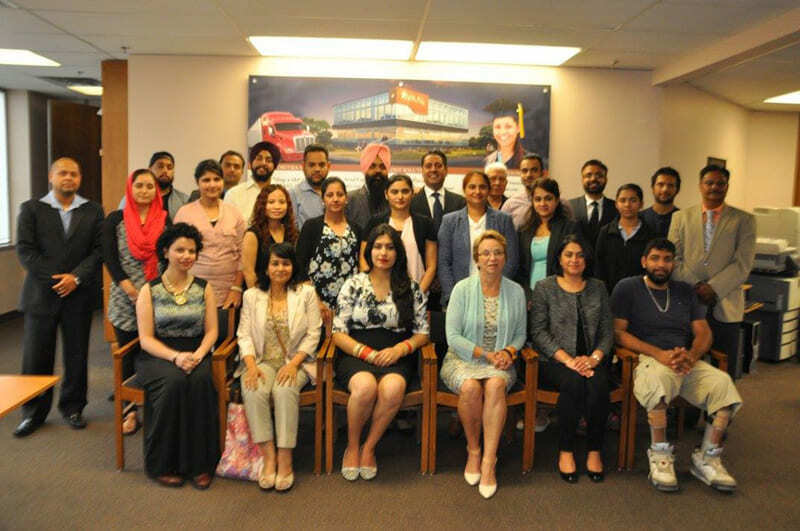 Graduates from the 120th class included: Sandeep Kaur, Ranjeet Kaur Lalia, Jatinderpal Kaur Sahota, Rosella Villaluna, Navneet Simran Bedi, Rachhpal Singh Grewal, Rupinder Kaur Sandhu, Rashmi Devgun, Jaspreet Kaur Sanghera, Pawandeep Kaur Mand, Rupinder Kaur Ranu, Amanjeet Sandhu, Daljeet Singh Sandhu, Puneet Kaur Brar, Amaninder Jit Singh Billing, Karanveer Singh Sandhu, Gurpreet Singh Ghattora, Harjit Paul, Muhammad Asif, Vikramjit Singh Deol, Ramash Rana, Gurpreet Kalsi, and Maninder Singh Hothi. The graduation ceremony featured guest speaker Beata Kratiuk. Dr. Ranvir Sharda presided over the event as MC. After the ceremony, students and guests were served lunch by Avaal staff and participated in a group photograph session.